Scott & White Healthcare, along with the Texas A&M Health Science Center, and the Central Texas Aging, Disability & Veterans Resource Center, formed the Community Research Center for Senior Health (CRCSH) with a mission of engaging individuals and their communities in programs that improve senior health and well-being. 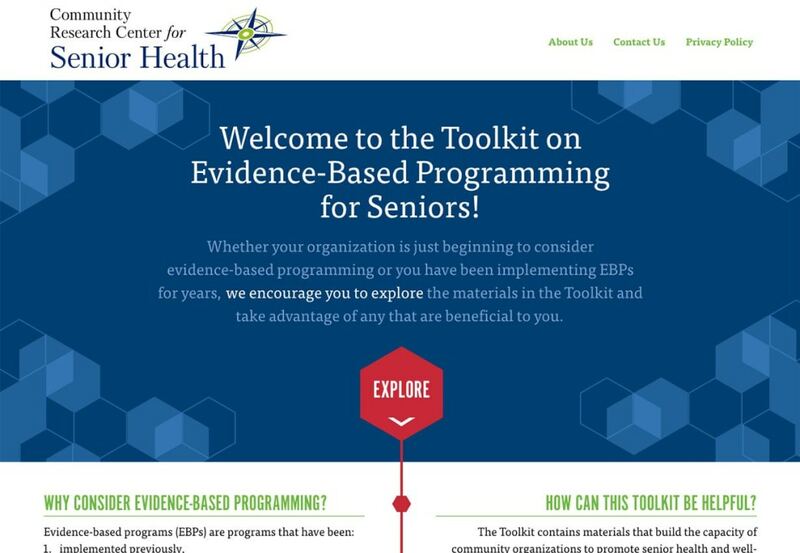 Historically, the CRCSH produced a printed Toolkit on Evidenced-Based Programming (EBP) for seniors. 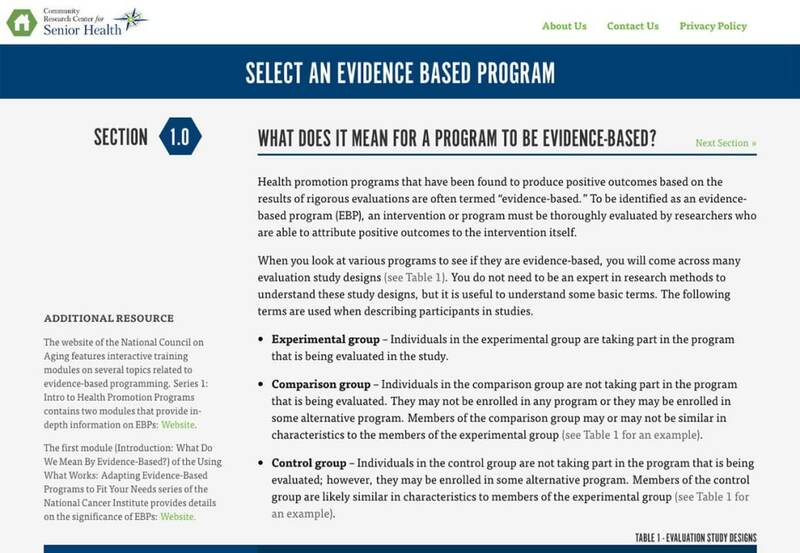 EBPs are programs thoroughly vetted by researchers and are shown to make positive differences in the lives of participants. 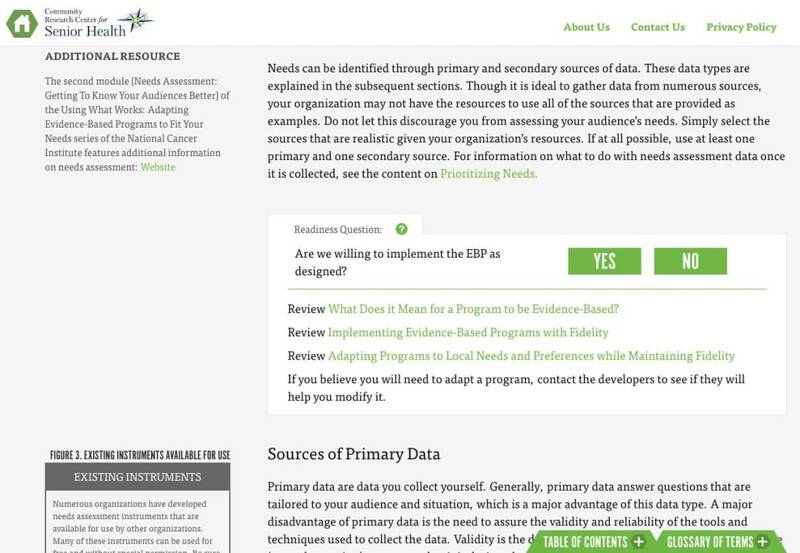 While the toolkit provided a lot of useful information, it was difficult to digest and unwieldy as a quick reference resource. 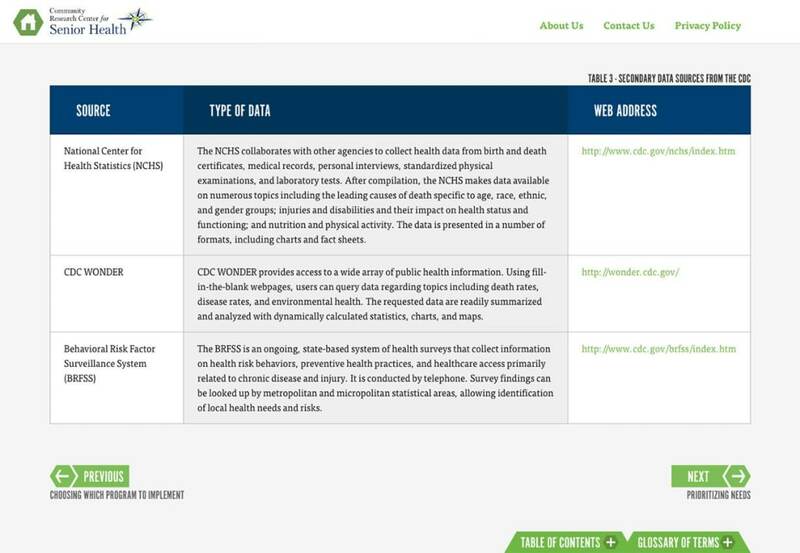 In order to reach a wider audience and improve engagement, the CRCSH wanted to move the toolkit online and make it searchable. White Lion did a deep dive into the toolkit with the Scott & White team to learn what aspects were most meaningful and actionable for the target audiences. 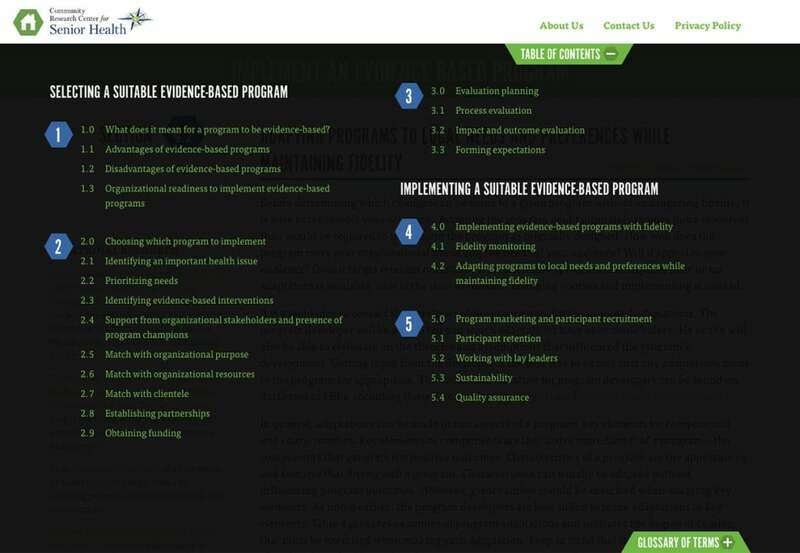 Through this discovery we were able to recommend a more effective structure. The White Lion team transformed the toolkit into an interactive online resource with effortless wayfinding elements to orient users to the information they needed most. 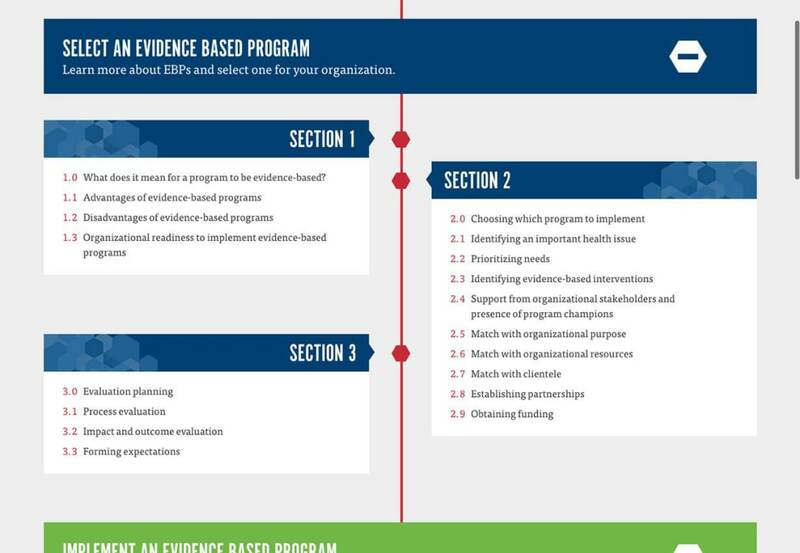 The Scott & White Evidence to Programs online toolkit makes it easy for organizations to easily educate themselves by stepping through the content from section to section and page to page using in-page contextual links, table of content links fixed to the bottom of the browser window, and keyword site search.